Mona the mouse has finally found a place to call home, the cozy Heartwood Hotel, where she works as a maid and sleeps snuggled up in a room with her best friend. Following the festive St. Slumber celebration, most of the guests have settled in to hibernate, and the staff is looking forward to a relaxing winter. But disruptions abound, from a difficult duchess to a mysterious midnight snacker. As the snow stacks higher, Mona will have to gather friends both old and new to keep the peace, finding help in some of the most unexpected places. 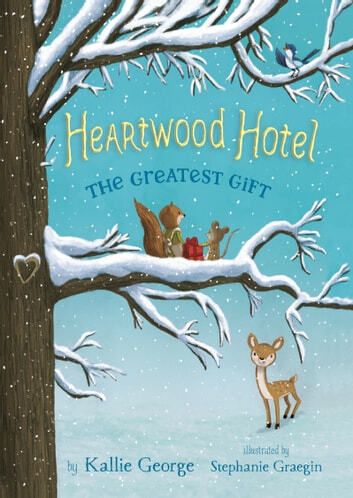 The second book in the enchanting Heartwood Hotel series, The Greatest Gift will warm your heart with its endearing characters and exquisite illustrations. Harry and the Dinosaurs: Roar to the Rescue! Harry and the Dinosaurs: The Snow-Smashers! Harry and the Dinosaurs: The Flying Save!